Office: 4075 ETB Dr. McDonald’s research interests include drowsy driving, automated vehicles, and machine learning. He has expertise in drowsy driving detection algorithms, context-based machine learning algorithms, modeling human behavior, human automation interaction in cyberphysical systems, and simulation. Email: jaycelyn1810@tamu.edu Jaycelyn’s research focuses on using natural language processing to analyze the autonomous vehicles technology trust and acceptance. 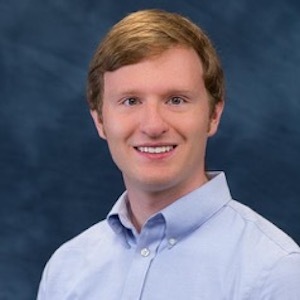 James Scott, PhD Student Email: jimscott@tamu.edu James’ research focuses on modeling interactions between heterogenous autonomous systems. Email: alec.smith@tamu.edu Alec’s research focuses on drowsy driving and reducing crashes and improving safety. Specifically, he aims to utilize a variety of techniques including systems thinking, user-centered design and data analytics to create an educational program and technological interface that will help to mitigate occurrences of drowsy driving. Some of Alec’s other interests include mixing different methodologies like interviews, surveys and observations in pursuit of answering research questions. Current postion: Supply chain engineer at Walmart Inc.